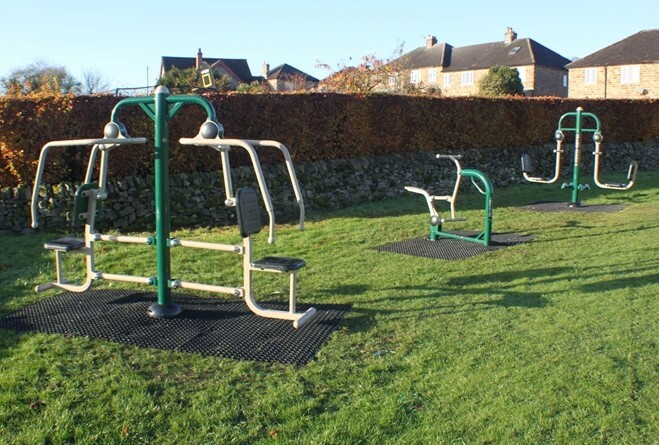 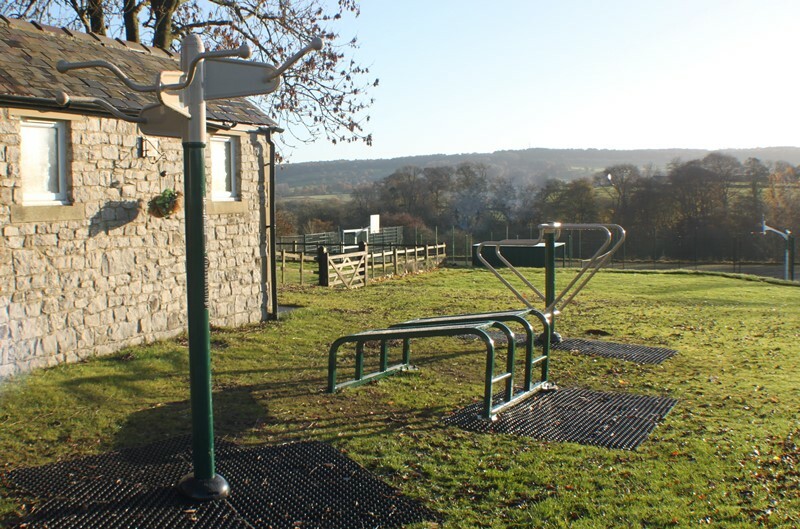 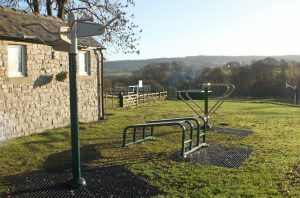 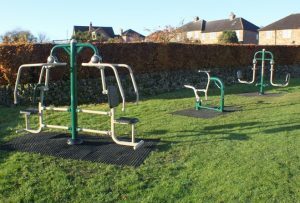 Thanks to assistance from an Awards for All grant, Youlgrave Parish Council have installed three fitness stations comprising of three pieces of equipment at each station around the perimeter of QEII Alport Lane Playing Fields. 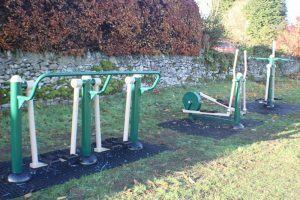 This page gives information and links to how each piece of equipment functions, click on each picture for a video. 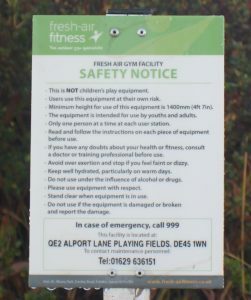 Information plaques are attached to the equipment with an information board at Station 1. 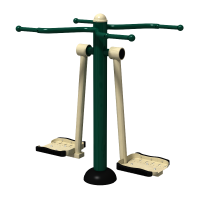 By swinging both legs together from side to side the Air Skier strengthens and develops the lower abdomen, hips and thighs. 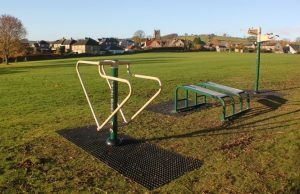 Improves balance and co-ordination through “core” activation. 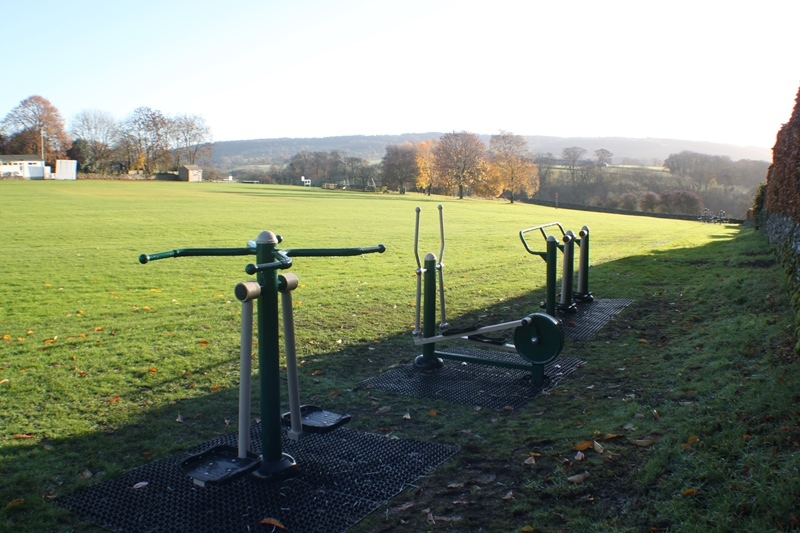 Excellent warm-up and work-out for skiers, but also can provide gentle exercise for fitness beginners. 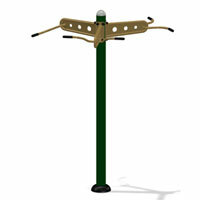 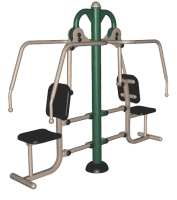 This apparatus develops power and strength in arms chest shoulders and back. 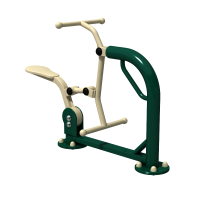 A strenuous work-out that can be assisted by pushing up with the legs. 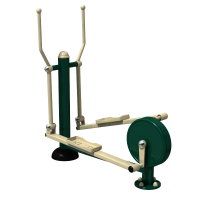 A strenuous exerciser for arms and shoulders but one of the best for muscle development. 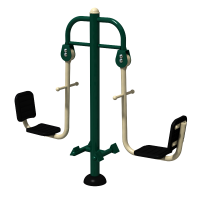 A variation on the classic chin-up bar, it allows 3 people to exercise simultaneously or to compete! The design and construction of these sit-up boards helps to encourage correct action and to prevent lower back strain, while at the same time putting the abdominal muscles through a fuller range of movement from extension to contraction. Suitable for all ages and abilities. 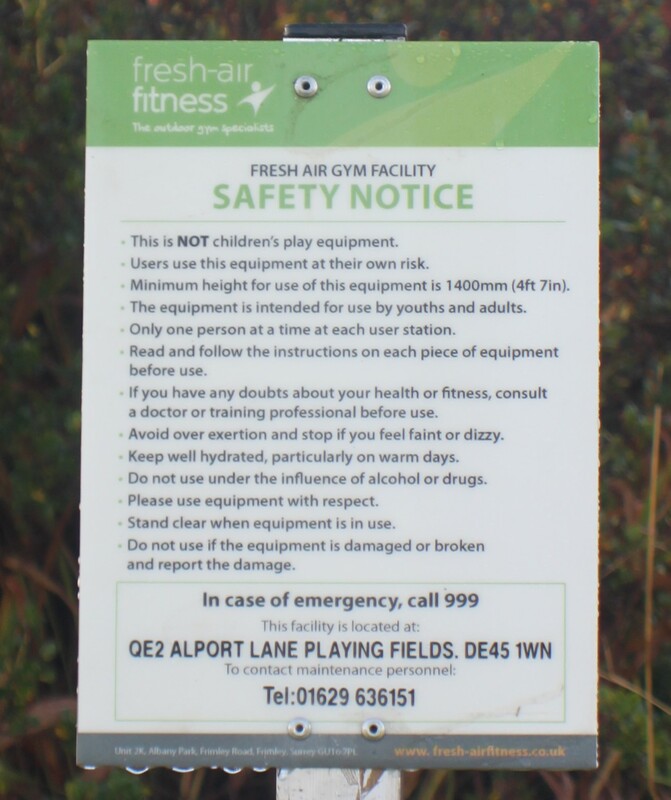 (No video supplied). 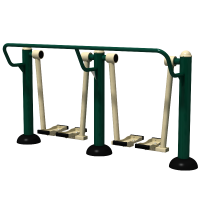 Two sets of parallel bars set at different heights allow for push-up and dip exercises and inclined press ups or assisted squat, a strenuous calisthenic exercise to develop strength in arms and shoulders. 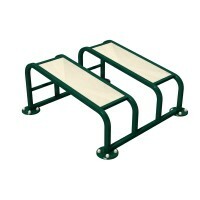 Can also be used for knee raises. 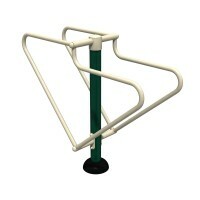 A simple and versatile piece of equipment.